The Effects Master Energy Series by Wildfire features high-efficiency, universal voltage electronic ballasting and polished Everbrite reflectors for maximum output and greater energy efficiency. Perfect for those installations that require a larger number of fixtures per circuit or applications where you don’t need the output of our VHO Effects Master but still want a great effect. 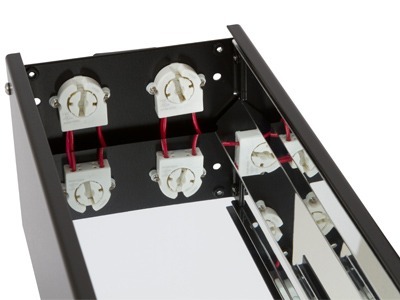 Designed, engineered and built in the U.S.A.
The​ energy efficient Effects Master Energy design is built to save you money on your fluorescent black light fixture, installation, wiring and long-term operation. 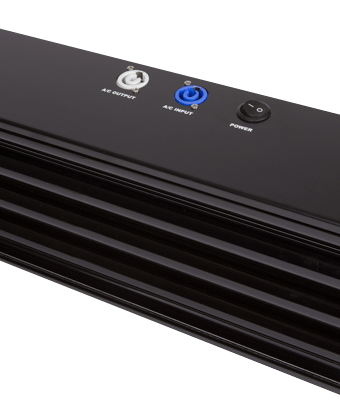 If power consumption is a concern, the Effects Master Energy Series offers the highest output versus power consumption ratio available. 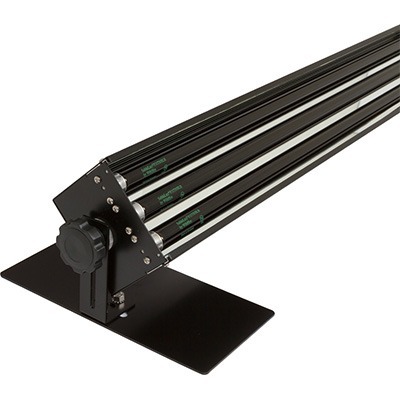 It draws only 1 Amp of power per fixture, allowing you to put up to 15 fixtures on a single circuit.If you’re operating a lot of black light fixtures in a large space, such as a bowling center, laser tag arena, miniature golf course, etc., the savings can be significant. It’s the best of both worlds: you get to experience the ultra-bright “Wildfire Effect” while also saving on hardware and energy costs.